A man has been charged with the murder of another man in Sussex on Thursday (July 27). Police have identified the victim as Salvis Auzins, 37, of Wishing Tree Road, St Leonards. Police said officers were called to a report of a stabbing in Clyde Road in St Leonards at 12.41pm. A short time later they received a further call to an injured man in an alleyway in Wishing Tree Road. This man was Mr Auzins and he had suffered serious injuries. Mr Auzins had driven himself to the location from Clyde Road, but despite the best efforts of police and paramedics he was sadly pronounced dead at the scene, according to police. Mohamed Ahmed, 21, of no fixed address, was arrested and yesterday police confirmed he has now been charged with the murder of Salvis Auzins. 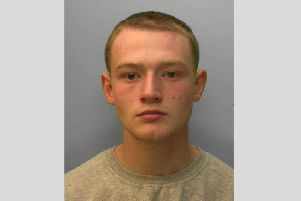 He is due to appear at Hastings Magistrates’ Court on Monday (July 31). Detective Chief Inspector Emma Heater, of the Surrey and Sussex Major Crime Team, said: “We have spoken to the parents of Salvis in Latvia and they are devastated at the loss of their son. Anyone with information is asked to report it online quoting Operation Lexus.